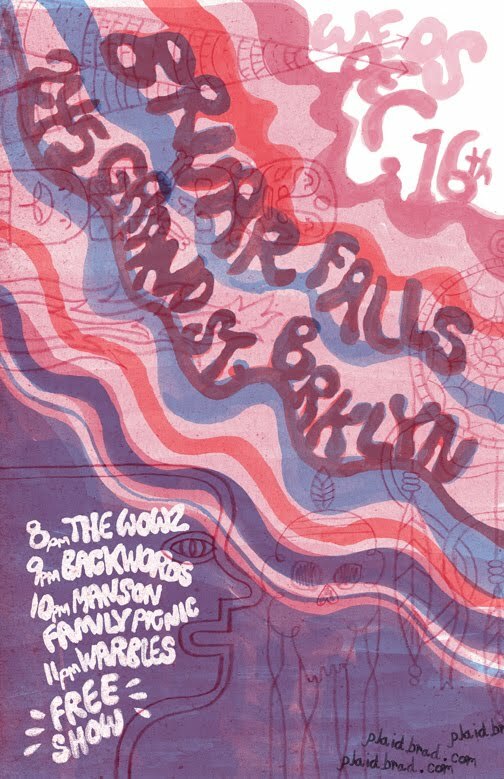 Drawing the World (OLD BLOG): Backwords at Bruar Fall in Brooklyn, Weds. Dec. 16th! Backwords at Bruar Fall in Brooklyn, Weds. Dec. 16th! recently did another psychedelic poster for my friends Backwords, this one is for a gig in December. Happy holidays!